For businesses to grow, companies need to empower employees and help them feel valued and respected. 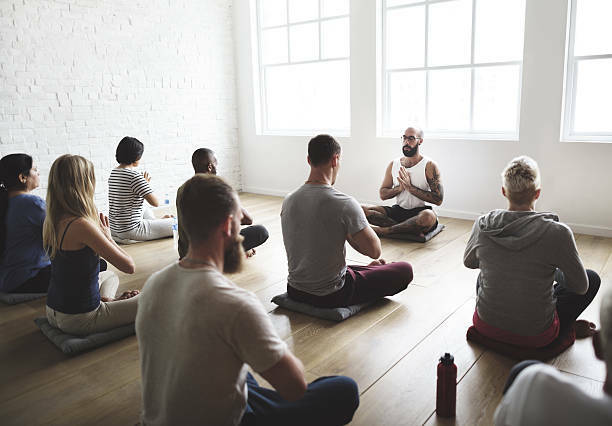 A workplace meditation program does all those things, while also enhancing personal creativity, building cooperative teams and decreasing stress and burnout. With the ability to quiet their minds, students are able to perform better, become kinder to each other and begin to heal the world. Explore the options for teaching meditation to your classes. You support ZEN commuter when you shop Amazon, using the button above. Whatever you spend, they donate a small portion back to support the show that helps you become calm. It's the easiest way to help keep ZEN commuter running. ZEN commuter is not only helping you learn about meditation, it's also bringing new ideas and great guests to you that enhance the quality of your life. Leave a review out on iTunes so more people can experience the same value you do. The best way to expand the scope of the show is to leave a review. I am dedicated to teaching at least one million people how to meditate. The more people that understand how to become calmer and more purposeful in their lives the better off this world becomes. Come explore the options. Helping audiences understand their power through meditation is the goal of the speaking events I present at. It's not simply about listening; it's about becoming part of the journey that I take the audience on. Most of all, it's about becoming inspired to change. Whether it is keynotes, breakout sessions or workshops, come see what I can bring to your next event. ZEN commuter on Apple podcasts helps you learn more about the people, practice and stories behind meditation. Come listen to the latest episode, along with its companion podcast, 5 Minute Mojo, for your ride home.